Mike Greene - mgreene@shawmedia.com Burlington Central's Leci Kern (left) and Crystal Lake Central's Madie Edwards vie for posession of the ball during the Class 2A Regional Finals Saturday, May 19, 2012. 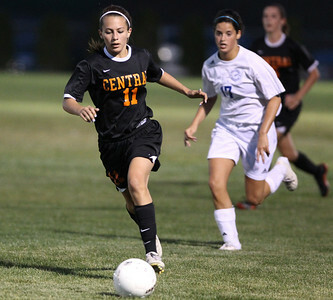 Edwards had two goals for the Tigers but Burlington Central won the game 3-2 in triple overtime. Mike Greene - mgreene@shawmedia.com Burlington Central's Lindsey Puccio lines up a penalty kick against Crystal Lake Central goalkeeper Caitlyn Dayton during the Class 2A Regional Finals Saturday, May 19, 2012. 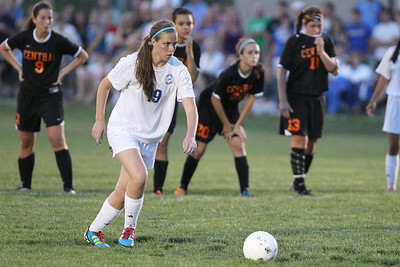 Burlington Central won the game 3-2 in triple overtime. Mike Greene - mgreene@shawmedia.com Crystal Lake Central's Brittant Bromfield prepares to hit a ball in the air during the Class 2A Regional Finals against Burlington Central Saturday, May 19, 2012. 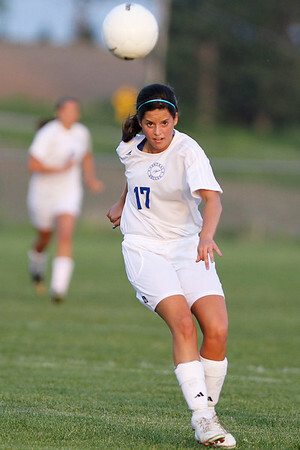 Burlington Central won the game 3-2 in triple overtime. 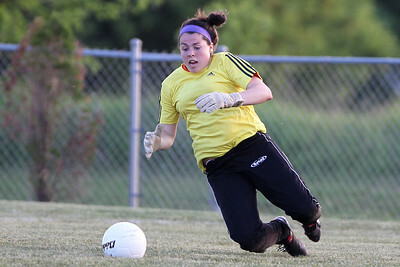 Mike Greene - mgreene@shawmedia.com Crystal Lake Central goalkeeper Caitlyn Dayton drops to cover a shot on goal during the Class 2A Regional Finals against Burlington Central Saturday, May 19, 2012. 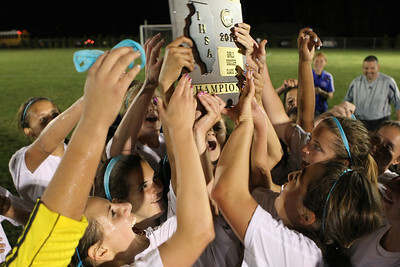 Burlington Central won the game 3-2 in triple overtime. Mike Greene - mgreene@shawmedia.com Crystal Lake Central's Becca Polk knocks a ball away from the defensive end during the Class 2A Regional Finals against Burlington Central Saturday, May 19, 2012. 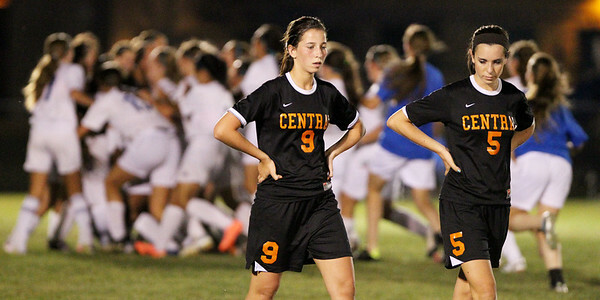 Burlington Central won the game 3-2 in triple overtime. Mike Greene - mgreene@shawmedia.com Burlington Central's Rachel Griffin (left) and Crystal Lake Central's Kyra Savage vie for posession of the ball during the Class 2A Regional Finals Saturday, May 19, 2012. Burlington Central won the game 3-2 in triple overtime. Mike Greene - mgreene@shawmedia.com Burlington Central's Jessica Martinez watches the flight of her kick during the Class 2A Regional Finals agaimst Crystal Lake Central Saturday, May 19, 2012. Burlington Central won the game 3-2 in triple overtime. Mike Greene - mgreene@shawmedia.com Burlington Central's Camille Dela Cruz (left) and Crystal Lake Central's Alaina Passavant vie for posession of the ball during the Class 2A Regional Finals Saturday, May 19, 2012. Burlington Central won the game 3-2 in triple overtime. 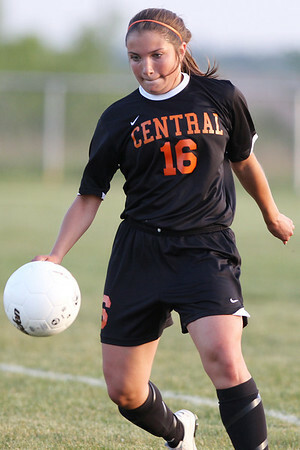 Mike Greene - mgreene@shawmedia.com Crystal Lake Central's Stacey Wolfgram moves the ball into Burlington Central's side of the field during the Class 2A Regional Finals Saturday, May 19, 2012. Burlington Central won the game 3-2 in triple overtime. Mike Greene - mgreene@shawmedia.com Crystal Lake Central's Delaney DiGangi and Katie Beck walk off the field as players from Burlington Central celebrate their triple overtime victory in the Class 2A Regional Finals Saturday, May 19, 2012. Burlington Central won the game 3-2 in triple overtime. Mike Greene - mgreene@shawmedia.com Burlington Central players raise the championship trophy after defeating Crystal Lake Central in the Class 2A Regional Finals Saturday, May 19, 2012. 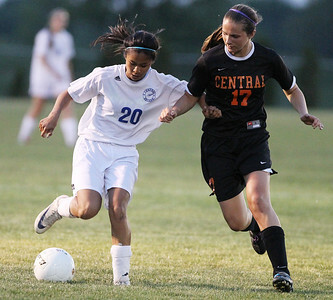 Burlington Central won the game 3-2 in triple overtime. Burlington Central's Leci Kern (left) and Crystal Lake Central's Madie Edwards vie for posession of the ball during the Class 2A Regional Finals Saturday, May 19, 2012. 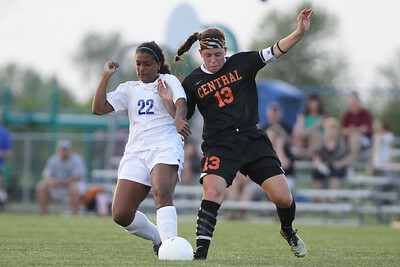 Edwards had two goals for the Tigers but Burlington Central won the game 3-2 in triple overtime.